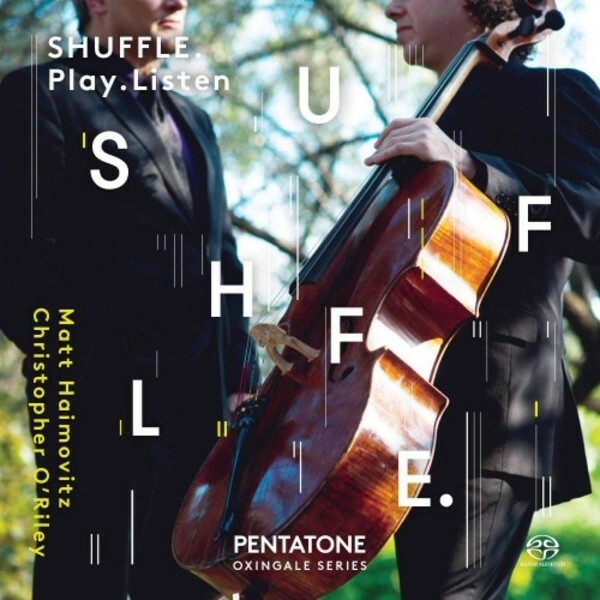 Shuffle.Play.Listen is the fourth issue of the PENTATONE OXINGALE series. An out-of-the-box double SACD album with works for cello and piano, performed by cellist Matt Haimovitz and pianist Christopher O’Riley, including a booklet containing an interview by way of liner notes. One of the discs contains classical music and the other contains pop music, arranged for cello and piano by Christopher O’Riley. Listen to this highly original album and discover the richness Matt Haimovitz is talking about.